On Free Standing Display Units, or FSDU's, we are getting asked more and more for Shelf Wobblers to give that extra jumping out effect to grab the customers attention. We find more often they are also half way down to encourage children to interact therefore getting more attention from the paying parents. 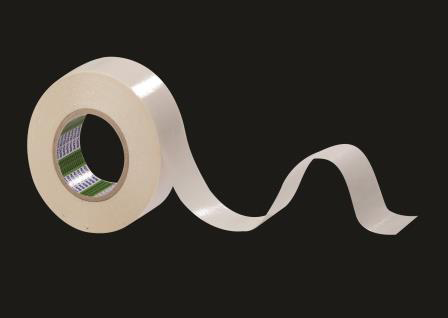 POS Tapes have a range of Wobblers with an option of foam adhesive or tape, these are available in many different sizes to give the desired effect. POS Tapes' Nitto 500 Tape is specifically designed to reach the Signs, Print and Display industries as well as general Point of Sales as this is an ideal tape to bond: Glossy card or board, Nameplates, Metal sheets, Plastic plates and many more. Nitto 500 is engineered to consists of a flexible non-woven tissue carrier impregnated with High Tack modified acrylic adhesive. The Nitto 500 is hand tear-able for easy use and can withstand temperatures up to 120°C, suitable for both indoor and outdoor use. POS Tapes specify this tape for any demanding POS displays made from laminated or glossy card and board to ensure there won’t be any failures in store, which can affect our larger clients reputations.